What is Reverse mortgage loan scheme in India? 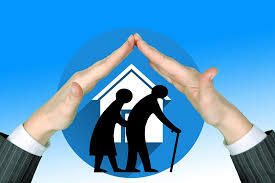 The Reverse mortgage loan scheme in India was introduced in the Indian Union Budget of 2007-08. The purpose of the scheme is to help senior citizens who are in need of money or a regular monthly income in their old age. The Government devised this scheme whereby older couples could use their own house as security for a loan or a regular monthly income against the security of their house without the risk of losing their house during their lifetime. Reverse mortgage loan meaning is when a Bank takes on as security (mortgage) a property of a Senior Citizen and grants a loan. The residing house must be in his name or jointly with his spouse. House must be in good condition. How reverse mortgage loans work in India? 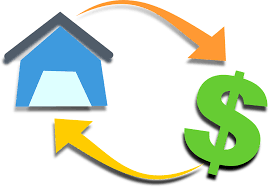 Reverse mortgage how it works is in the opposite way of a regular mortgage housing loans. In a normal mortgage, one has to pay monthly instalments (EMI) to the bank, but in reverse mortgage, the bank pays the senior owner of the house a monthly income. As per the Reserve Bank of India rules for Reverse Mortgage loans in India, the maximum loan amount will be 60% of the value of the residential property. The minimum and maximum tenure of the reverse mortgage will be 10 years and 20 years respectively. The property can be revalued once every 5 years, and the maximum loan amount can be adjusted. Only house owners above the age of 60 years are eligible and if the spouses above the age of 58 years only can be made a co-applicant. Money received under the Reverse Mortgage Scheme in India is not taxable since the money is a loan and not an income. The reverse mortgage loan interest rates in India can be either fixed or floating and will depend on the prevailing market interest rates. If the borrower continues to live after the tenure of the Reverse Mortgage loan period, he can continue to live in the house, but no payments will be made under the reverse mortgage scheme. Settlement of the loan only becomes due when the borrower dies. If Reverse Mortgage is in the joint names of husband and wife, then the loan amount becomes due only after the death of both, if one dies, the other can continue to live in the house till death. A common question raised by people considering to take a reverse mortgage loan will be "How much monthly installement can I get by reverse mortgaging my house?". The total loan dues of the reverse mortgage become due to the bank when the last surviving borrower dies. The bank has to then give the first option to the legal heir or heirs to settle the full loan and take possession of the house. If the legal heirs cannot settle the loan, the bank has the option to settle the loan by selling the property. If the sale proceeds are more than the loan amount, then the bank has to give it to the legal heirs. If the sale proceeds are not enough to cover the loan amount, then the bank has to suffer the loss, since under the law as at present, the bank has no recourse to recover it from the legal heirs. What documents are required for reverse mortgage in India? Agreement giving right to the bank to sell the property upon death of both the owner and spouse and any remaining excess amount will be handed to the legal heir. The rate of interest in reverse mortgage loan varies from bank to bank. The interest rate you receive on your reverse mortgage loan will be a key factor to determine the amount you can borrow. The interest is charged on the outstanding balance every month. The interest rate for a reverse mortgage in India is calculated on the basis of total money received by the house owner. Under the reverse mortgage scheme rules in India the recipient of the reverse mortgage loan only pays interest on the money he received, and from the date he received the money. The Tenure for a reverse mortgage loan is a maximum of 20 years and a minimum of 10 years. In this period the owner of the house will receive the payment. For a longer tenure, the amount of reverse mortgage paid will be less than a shorter tenure. Reverse Mortgage is really a good scheme for older people who have a house but not enough income, especially if they do not get support from their children. The Reverse Mortgage Scheme in India now is not very popular in India because people are afraid of of losing their property during their lifetime. The other main reason of not taking reverse mortgage in India is because of the doubt that a Reverse Mortgaged property cannot be rented out in case they wanted to go and live with one of their children. Whatever the shortcomings of Reverse Mortgage Schemes in India, owners of residential property can live with the confidence that in their old age, they can rely on their own house to provide adequate income in their dying years when there may be huge hospital bills.